The kitchen is open from 6pm, quiz to kick off at 7.30pm. Our last quiz night booked out fast, don’t miss out! Kids who learn a musical instrument gain huge benefits that impact on many areas of their lives. In fact the prominent kids neuro-scientist Nathan Wallis believes it is one of the greatest things you can do to build resilience into kids! For that reason the Rotary Club of Waimate is proud to be joining forces with Mrs A's Music School and the Waimate Community of Learning to help set up an affordable after school music programme for Waimate. We're currently looking for some foundation donors to support the programme by donating $50 to fill a square on our sponsors sign and show you care. We'll have 100 available, and these funds will be used to offset the fees for students, allow scholarships for kids who would otherwise miss out, and support the running of the musical instrument hire pool. 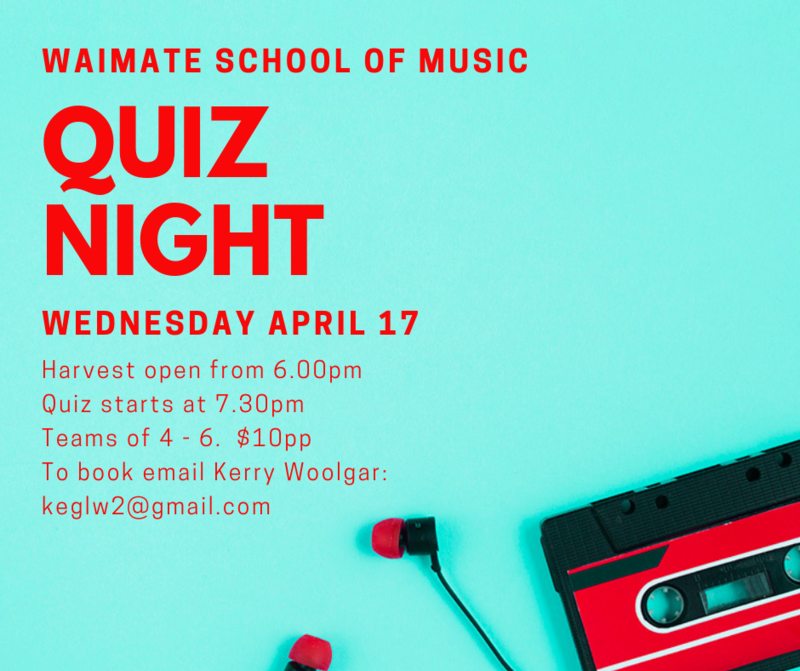 We're looking for businesses, individuals, parents, enthusiastic relatives and anyone who wants to help bring music to Waimate to donate. Contact Ryan Luckman on 0274052772 or ryan.luckman@gmail.com to find out how you can fill a square!